Eduardo J. Mejias, a lifelong Floridian, was born in Miami on July 13, 1972. As the youngest son of two Cuban immigrants, he learned the value of hard work, honesty, and integrity at a young age. After graduating from Miami Killian Senior High, Eduardo traveled north to Gainesville to attend the University of Florida, where he graduated with High Honors with a B.A. in Political Science in 1994. He then proceeded to earn the distinction of becoming a "Double Gator" by obtaining a J.D., with Honors, from the University of Florida College of Law in 1997. 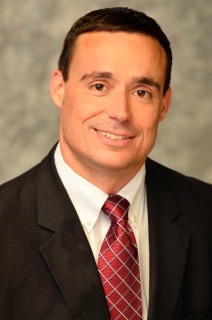 Eduardo practiced general civil litigation in Jacksonville before relocating to southwest Florida, where he began practicing primarily as a family law attorney in 2005 (exclusively since 2011). Since then he has represented hundreds of clients in cases like divorce, child custody, paternity, DCF child dependency and domestic violence from their initial consultation, to their mediation or trial, and sometimes, their appeals. In fact, attorney Mejias has completed twelve family law appeals and is working on several others. Later in 2006, a family law judge ordered that the valuation of the ex-husband’s business, which was undoubtedly a marital asset, would not occur for twelve years. Eduardo’s client, the ex-wife, expressed concern that this ruling gave her ex-husband the incentive to dissipate or hide his company’s assets immediately before the assigned valuation date. In response, Eduardo appealed this aspect of the trial court’s ruling, as well as others. Silverman v. Silverman, 940 So.2d 615 (Fla. 2nd DCA 2006). The appellate court reversed the trial court’s valuation of the family business, and remanded the matter for a proper valuation. Finally, in 2014, in a child custody case, a Seminole County family law judge effectively denied one of Eduardo’s clients any time-sharing with his two teenage daughters. Defying the clear precedent established by Florida case law, this judge completely deferred the critical decision of how much time would be spent with their father to two teenage girls, both of whom had been effectively coached by their mother to disparage him. Eduardo’s appellate brief painstakingly demonstrated how the judge’s decision violated well-established precedent. In response, the judges in the Fifth District Court of Appeal reversed the trial court’s erroneous and unjust decision. Orizondo v. Orizondo, 146 So.3rd 151 (Fla. 5th DCA 2014). Attorney Mejias can represent you in any of the trial courts of the Orlando Metropolitan Area and in any of the District Courts of Appeal in Florida. For more information on family law appeals see Family Law Appeals in Florida. Along the way, Eduardo learned what clients value the most from their family attorneys: competence, accessibility, and trust.Eduardo began practicing primarily family law in 2005, and exclusively since 2011 in the Orlando metro area. Since then, he has litigated in front of all of the current family law judges in Orange and Seminole counties, and in the courtrooms of many of these judges in Osceola, Lake, Brevard, and Volusia counties. And in 2013 he founded AAA Family Law in Altamonte Springs, Florida to serve the Orlando metro area from Altamote Springs. Attorney. Mejias brings you his considerable experience and knowledge of divorce, child support, alimony, paternity, adoptions, domestic violence and other family law cases and his intimate familiarity with the courtroom practices of the various counties in Central Florida. Outside of the courtroom, Eduardo enjoys reading, politics, fitness, and following his hometown Miami Dolphins and Miami Heat teams. To schedule a free thirty minute initial consultation with attorney Mejias, at his office or on the phone, please call (407) 260-6001 or compete the email form below.